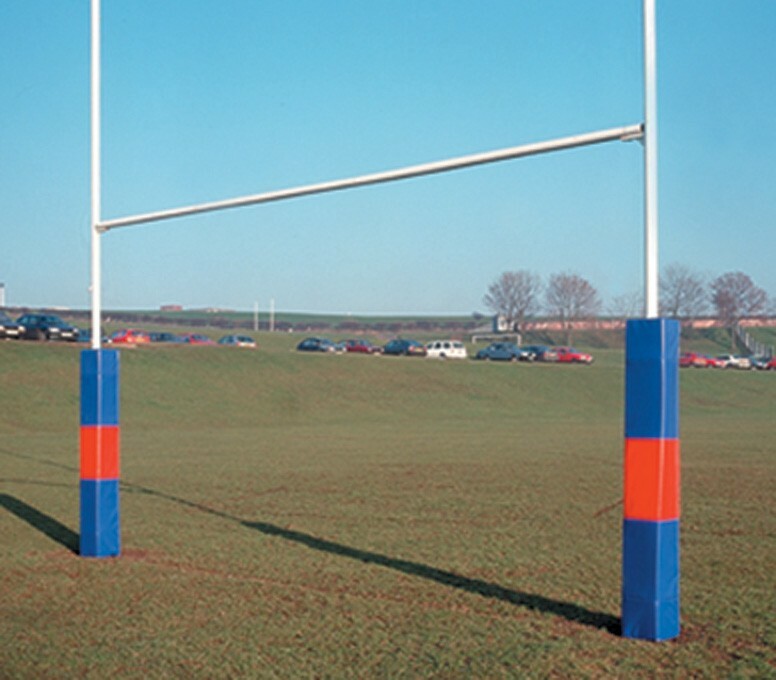 Heavy Duty Steel Socketed Rugby Posts 13.41m. Manufactured from heavy duty sectional steel. The bottom sections are 89mm diam x 3.2mm thick, top sections and cross bars are 76mm diam x 3.2mm thick. Sockets are square with a base plate and are 1.22m deep. Size: Overall height 13.41m (44’). Out of ground height 12.19m (40'). Please Note: These posts are very heavy (approx 448kg) and are difficult to handle. It is recommended that all posts should be used with padded post protectors.